Indoor bubble show. 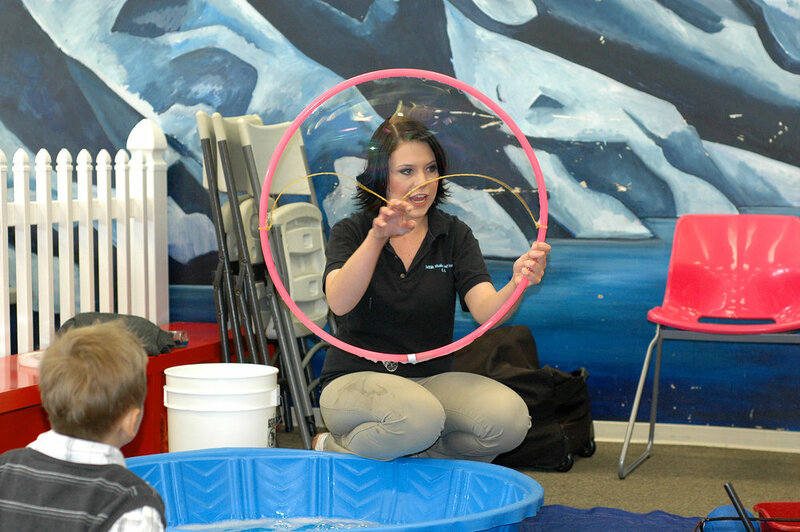 Bubblemania and Company offers an amazing Indoor or Outdoor Bubble Party and Bubble show, entertainment for kids and children of all ages, on the science and fun of bubbles. Great performance for boys and girls. If you do not have outdoor space available, the Bubblologist will perform an indoor (it has to be done indoors or with at least 3 walls) interactive show on the science and fun of bubbles. 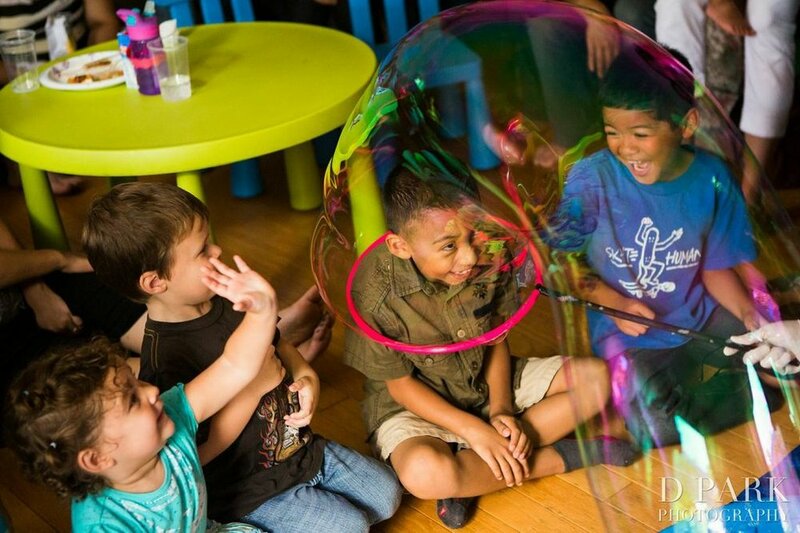 He or She will create rainbow bubbles, square bubbles, triangle bubbles, bubbles that bounce on bubbles, bubbles within bubbles, giant bubbles and the grand finale where every child gets a chance to be inside of a Giant Bubble!